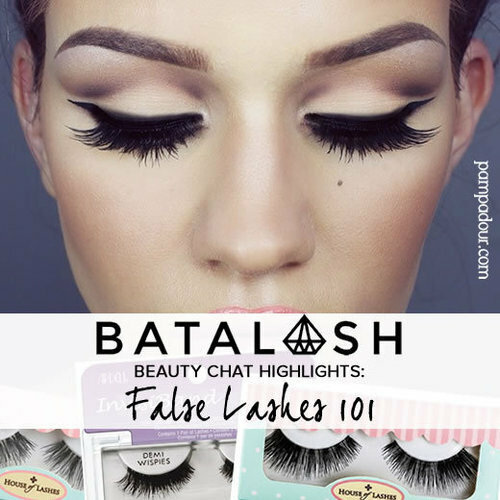 There’s no denying the Batalash girls are false lash experts. They are always rocking thick, glam, dramatic falsies with that signature Batalash confidence. Curious to know what their all-time favorite lashes are? Read on to find out…and click here to check out our foolproof guide to applying falsies at home. Angela loves Ardell, and says that House of Lashes easy-to-use lashes made application much more doable. They stick on right away without making eyes watery. Temptress, Siren and Femme Fatale are great for beginners. On the House of Lashes website, there’s a density scale so you can see how intense the lashes are and decide which would work best for you. The most dense are super dramatic, while the least are softer with a thinner spine – these are very easy to work with. Jkissa raves about Ardell’s Demi Wispies. She recommends cutting each strip in half, then attaching each half to your eye, one by one. This makes for super easy application, plus ensures that the corners won’t pop up (a common complaint about falsies). As for her favorite lashes of all time? House of Lashes’ Iconics, MAC’s 35s, and Kelsey mink lashes by Flutter Lashes. Log onto Pampadour to discover a wide variety of lashes, discuss application techniques and more!